Since the truck couldn’t drive all the way up to our office due to the slippery road, we needed to get the boxes to the truck. The best vehicle we could think of was our beloved Yamaha sled. 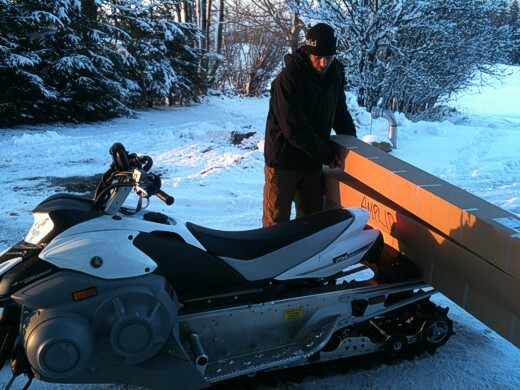 ARC artist Luis DeDios took a break from his 24/7 painting life and gave us a hand fixing the boxes onto the sled.